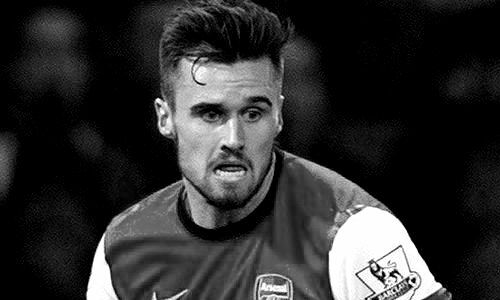 According to the football transfer rumours in English Media, Arsenal full-back Carl Jenkinson is close to join Premier Club Crystal Palace. Carl Jenkinson signed for the Gunners from Charlton Athletic in 2011, for an undisclosed fee thought to be around 1.2 million euros. Since his arrival from Charlton Athletic, Jenkinson has scored one goal and provided five assists in 62 games for Arsenal, including only 6 games in all competition this season. The Eagles want new faces on board to get them firing at the right end of the table. The England International has been a surprise target of Sam Allardyce as the manager looks to bolster his defensive options in second part of the season. Euro Football Rumours were informed that Carl Jenkinson has been linked with Aston Villa, Swansea and West Ham United this month, but according to the English Media, Crystal Palace are looking to lure the defender on loan in the January transfer window.